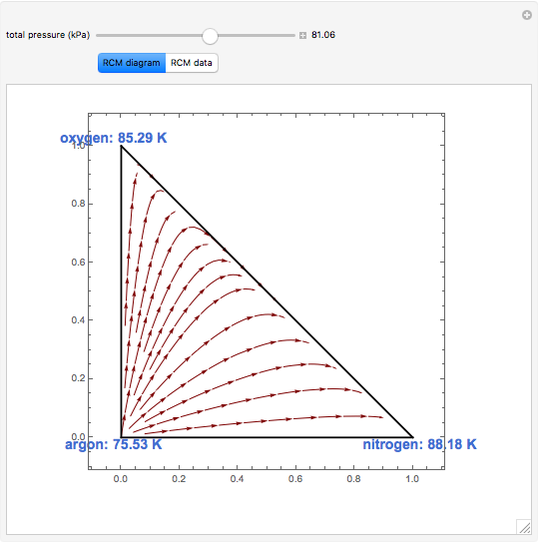 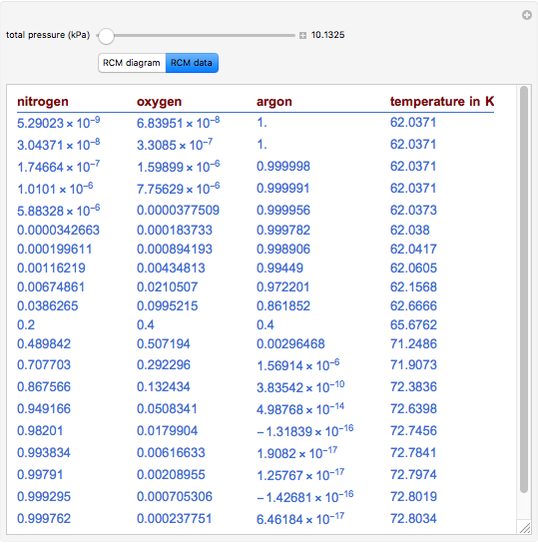 This Demonstration plots the residue curve map (RCM) for user-set values of the total pressure. 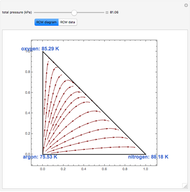 The ternary mixture considered here is composed of oxygen, argon, and nitrogen. 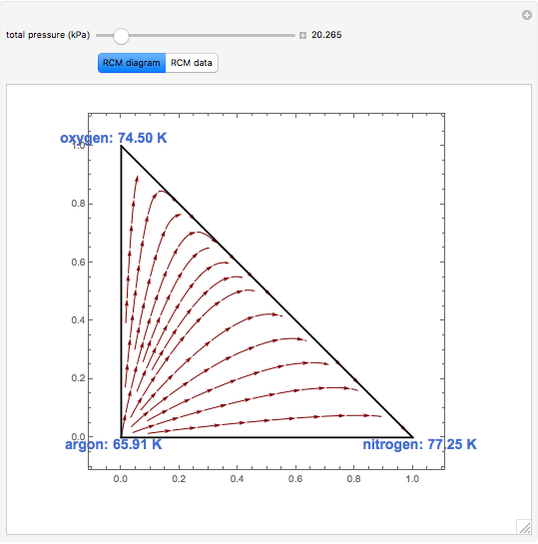 The boiling temperatures of the three components are given in the RCM diagram. 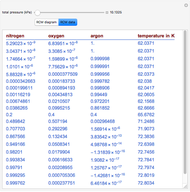 Data is given in the form of a table for the particular residue curve passing through the point having a composition equal to 20% mole fraction nitrogen, 40% mole fraction oxygen, and 40% mole fraction argon. Housam Binous "The Residue Curve Map (RCM) of a Ternary Mixture at Various Pressures"